Comment: Aboard#39. Port of Katakolo, Greece, 2015 (Ionian Sea). People in the line to get on board after the excursion at the Olympia greek temples. 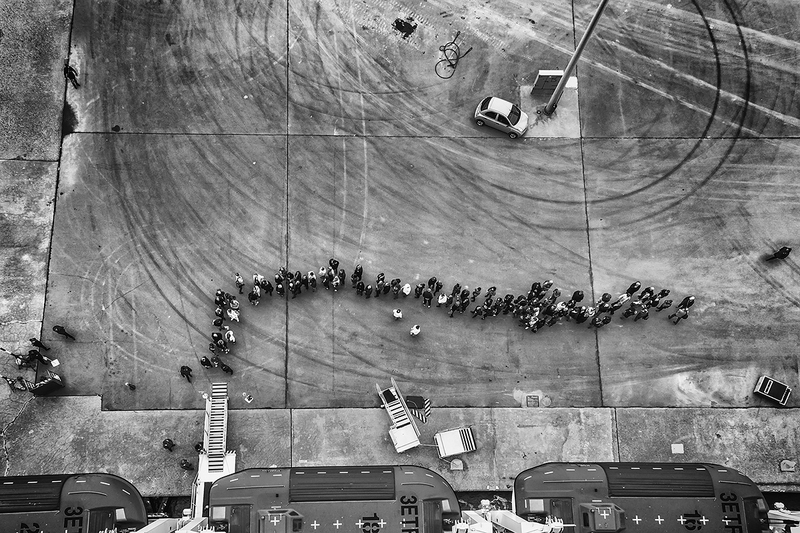 The photo is part of the Aboard series (2012-still ongoing): a visual journey to witness the fascinating anonymity of passengers and crew members living the temporary small, brilliant cities on the sea that are the cruise ships.